A limited edition of 100 prints, this lithograph was taken from Craig Kulchak's Journal sketches. 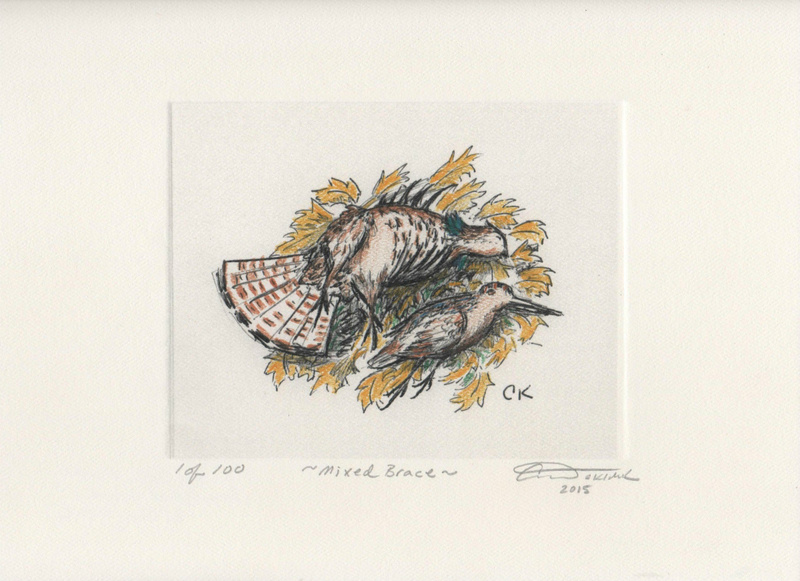 Each print is personally hand colored by Mr. Kulchak with water color pencils making no two prints alike. 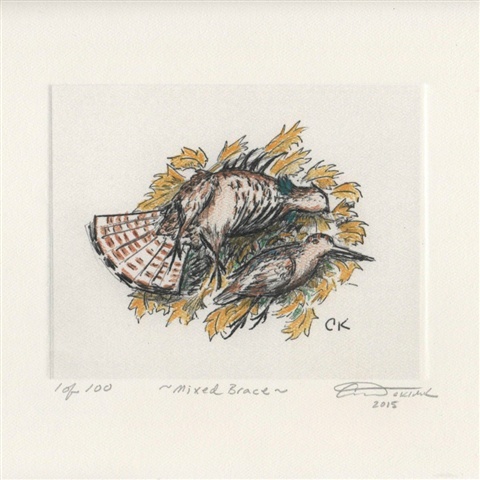 "Mixed Brace" is a great addition to the upland hunters den or office and a great opportunity to secure a piece of Craig's rarely offered sketches. Image is 6.5 " x 5.5 " on 9" by 12" water color paper — signed and numbered by Craig Kulchak.